If you're like me and have a toddler running around then I am sure that you have a cabinet that has locks on it that contain all your cleaners. And if your toddler is like mine, they have figured out how to unlock them. The day he learned how to break into the "cleaner cabinet" was the day I decided to ditch all those chemicals and go natural. Just the thought of spraying harsh chemicals on all the surfaces that my child touches, makes me cringe. I often thought how long until he can touch the table? Can I prepare the food on the counter after spraying it? What if he ingested some?! Sometimes I felt that it was safer to not clean the counters then to spray harmful chemicals on them! Well, wonder those questions no more! 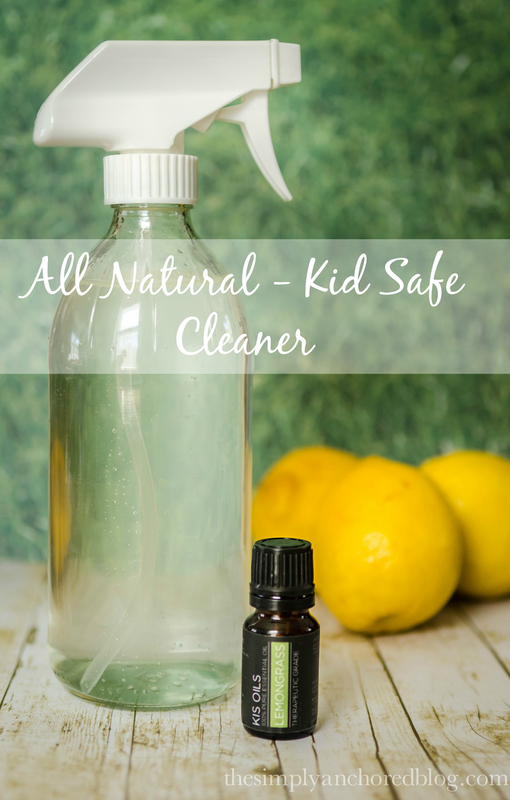 Here is a simple, three ingredient, cleaner that is child and pet safe and cleans sticky counters and smelly bathrooms! All you need is a bottle of white vinegar, distilled water (or you could use tap I just had some laying around in the pantry), and essential oils. Mix the vinegar and water with a 1:1 ratio. So if you have 1 cup of vinegar then add 1 cup of water. For every cup of vinegar add 15-20 drops of essential oil. Just make sure you give it a good shake before each use since oil and water do separate. Here is the fun part: you can create your own scent! I use Lemongrass Essential oil because once the surface dries (it will smell like vinegar initially - and trust me you'll learn to love it!) you have the fresh scent of Lemongrass. But you could do lavender, peppermint, eucalyptus, or any combination! Just make sure it is 100% Therapeutic grade Essential oil not fragrance. The reason for using Essential Oils for cleaning is because many of them have natural antimicrobial properties that work as a disinfectant without being harmful to you or your family! This cleaner costs less than $0.75 to make! Sure beats those $4-5 cleaners you're always having to replace! I love using EOs to clean! I had no idea you could use the vinegar bottle though! Great tip! 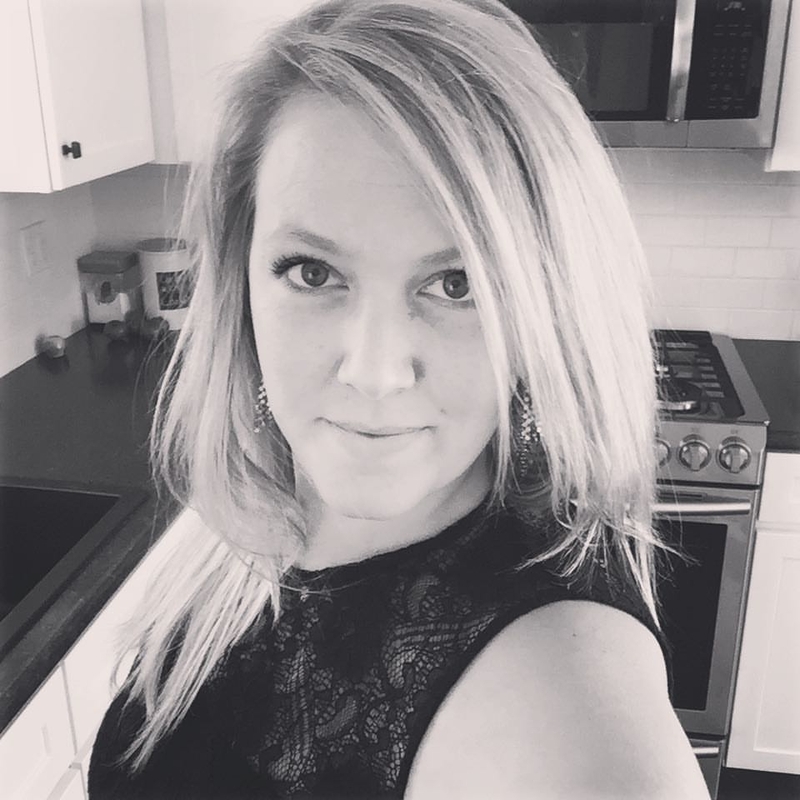 I have recently gotten into essential oils- mostly because the spiders out here are CRAZY and I wanted something natural I could spray to keep them out of the house! I got peppermint and was looking for something for my counters. I never would have thought about using the actual vinegar bottle and was kind of hitting a wall finding a glass bottle that was big enough for cleaners and not just little linen sprays and such! Thanks for the great tip! I was thinking of using just lemon, but I bet lemongrass smells amazing too!